Our other main reason for the tour was to get guys making stuff on the Web. 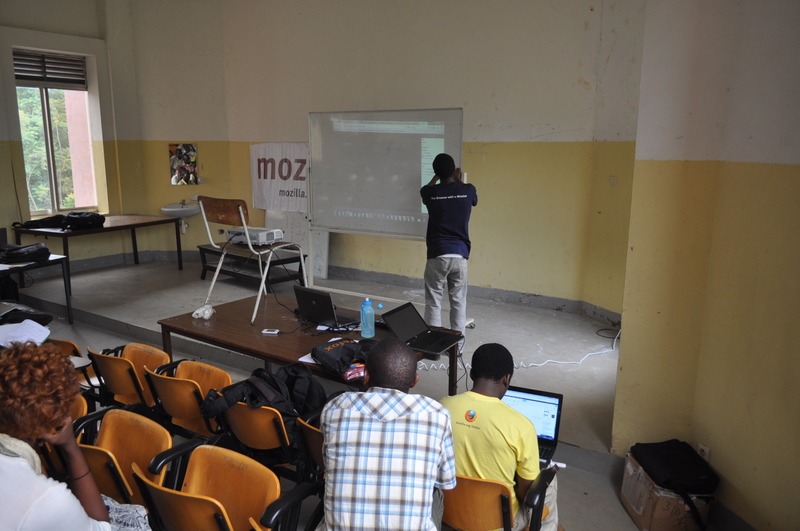 We had an audience of creative desing students, some bordering on fine arts with minimal knowledge on Web technologies. 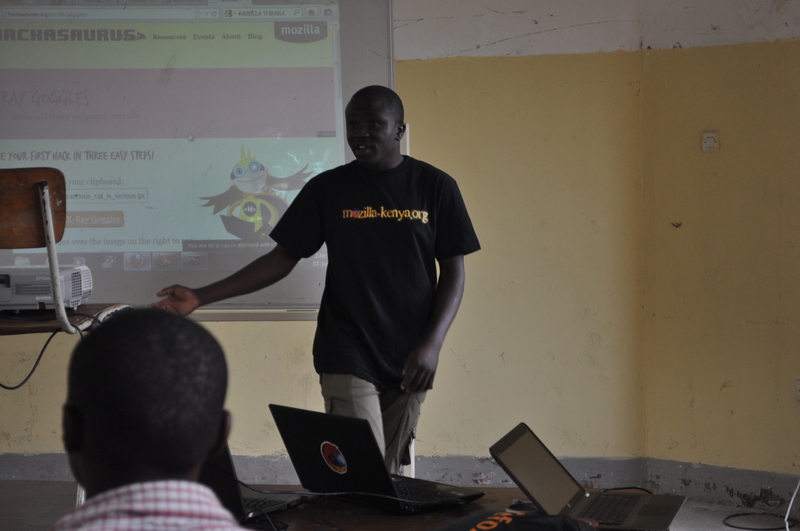 Arthur who’s a graphic desingner and lecturer by profession – though does some web programming – gave a small intro on Web tech to his class before our arrival; siting the great interest from his students, he was excited to have us come and expound on this, so where better to start than Mozilla’s Webmakers. This was the next session and was led by Cliff. One of the most important giveaways was that as much as we read stuff on the Web, it was also important for us to write/make on it, kind of the same thing you do with books “read and write”. 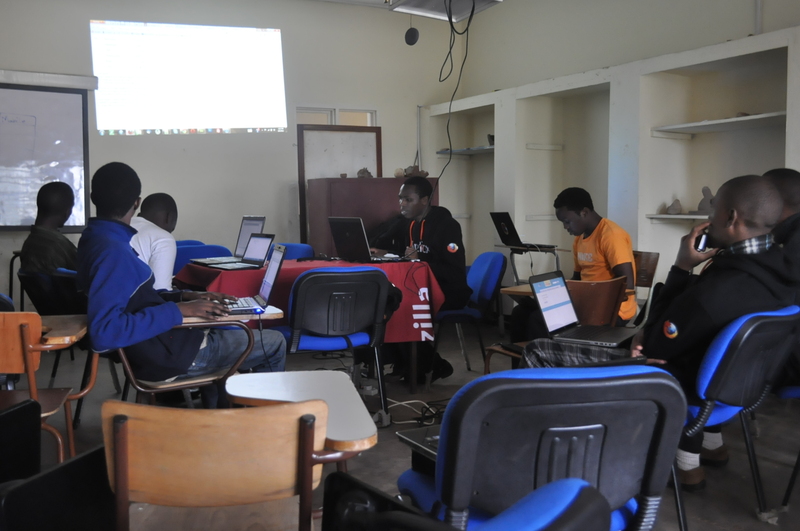 Using Webmaker’s Thimble, Cliff gave a couple of demos on how it’s easy to get started on hacking the Web for just about everyone. 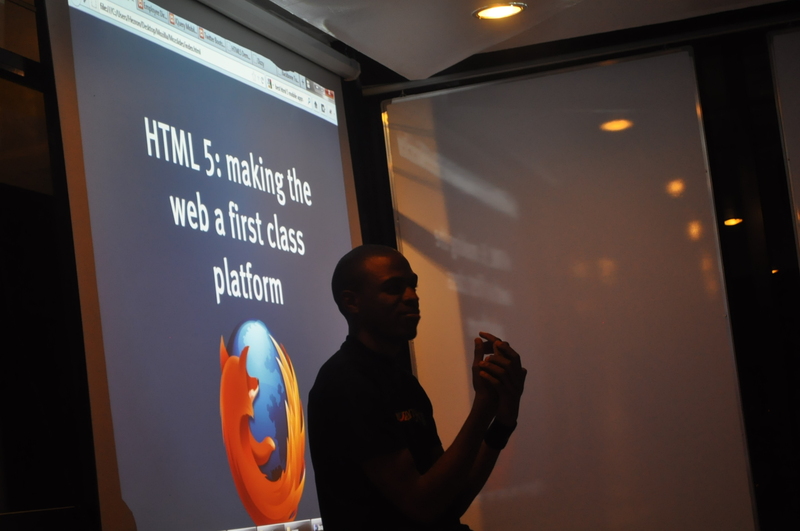 Vicky followed up with a live demo on how to transform website psd templates into html. Being creative deising students, the audience had prior knowledge on working with psd files and a demo on transforming them to HTML files was a welcomed one. We had tonnes of questions as Vicky went along with building up the HTML page and later on styling it. This was quite an intersting session such that we had to cut it short due to time and schedule hack sessions for Friday and Saturday with a couple of students. We broke off from KIST at around 2 pm and went out for lunch where Arthur, Truman (web/graphic designer, plus is now coordinating Mozilla activities in Rwanda) and Ezress (web/graphic desinger) joined us. 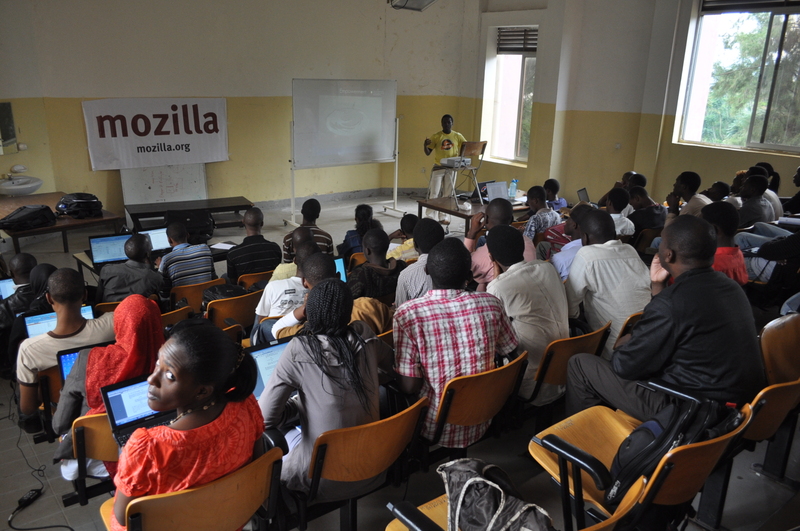 So how long deos a lunch made up of Mozillians + designers take; you guessed it, 3 hours! We had quite a nice and productive discussion on trends in the local tech industry and how the government is doing a great job in supporting and founding tech initiatives, a good case in point being the Klab. 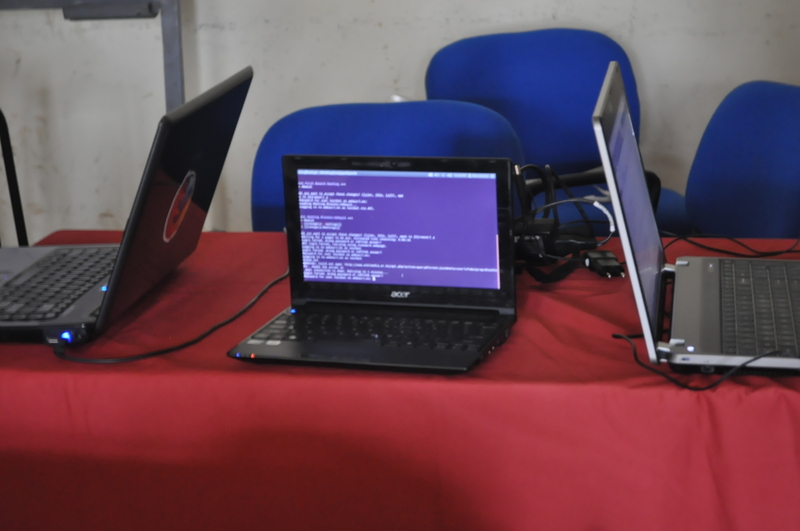 Tech communities in Rwanda have been non existant in the past creating an impression that the general population is slugish in embracing technology, whether this is the case or not remains to be seen. However, in the past six months various groups have been poping out around open source projects and other local tech initiative so things are looking up. 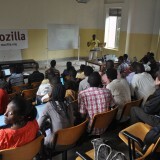 All in all, looks like we found a great group to sustain a Mozilla community in Rwanda. After our 3 hour lunch, we went off to visit the newly opened Klab to prep for a talk we would be having there the next day. 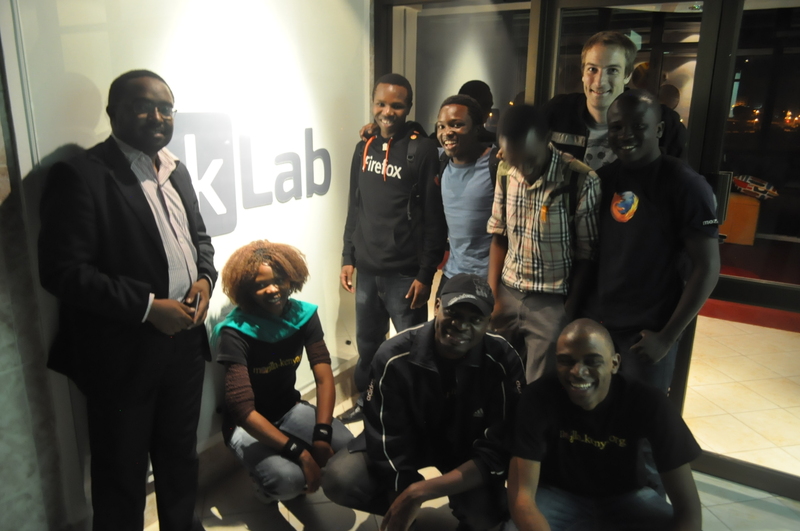 Klab, a hacker space in Kigali, quite similar to Nairobi’s iHub was just opened a week or so before our tour with support from the Rwandese Government (provided space) and JICA (furniture and stuff). Interior desing for the place was off the roof! with a spectacular view off the balcony; great Internet speeds as well. We finally met Nick and Eric the guys managing the place and our hosts for tomorrow’s session. Nick shared on the steps they took in setting up the space: having visited a couple of similar spaces to get some ideas; help from the local government and most importantly, a structure in getting the first lot of Klab members to register and work from the space. Our presence here was quite welcomed sittign the importance of such initiatives and/or groups in growing Klab and the tech community in Rwanda. Guess we were all set for the next day at Klab. After a long day, we got back to our hotel late in the evening; caught up on some mails as Hezy and Vicky dove into some Kohana hacks, wonder if you guys made something, do share . Fatigue kicked in and I was out for the day.